Dreaming of new construction in the heart of Glendale on a large lot on one of Glendale's finest streets? Well now's your chance to get in early on this new build that is just about to start. 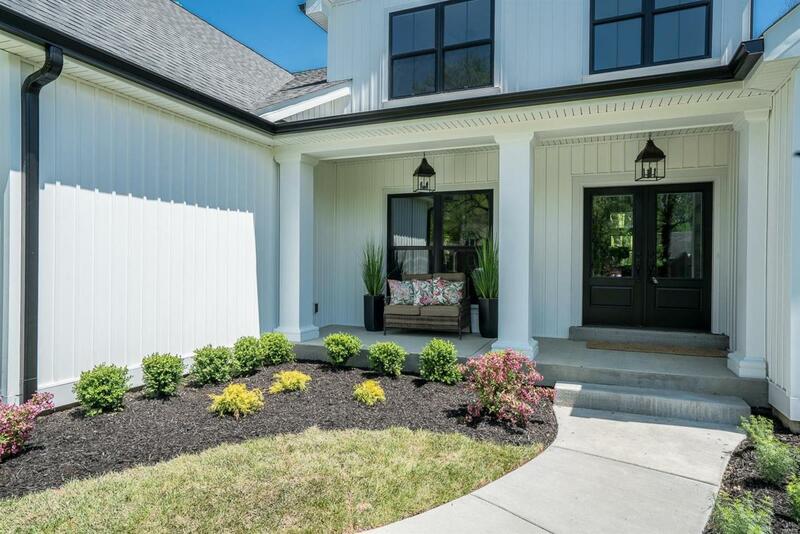 It will be the dreamy "Modern Farmhouse" plan (slightly enlarged) that was just completed at 6 Orchard Ln (ML# 18016382) You can schedule a walk through to view in person until it closes in July. It can be dressed out exactly like the Orchard (shown in photos) or you can customize the colors/style/details just for you. The new plan slightly enlarges the master, bumps out the kitchen and adds Hardie siding. Other significant details include 5 bedrooms, 4.5 baths, finished lower level, 2 laundry rooms, a 3 car side entry garage, 4 family rooms, main floor master, stunning kitchen, and a covered outdoor porch. Be sure to view the virtual tour shown for Orchard to get a feel for the home. This builder also just built the two new homes behind this house on Beverly but both are already sold. Listing provided courtesy of Live Local Realty. Listing information © 2019 Mid America Regional Information Systems, Inc.